Adelaide O’Keeffe was an Irish poet and novelist who was best known for her highly successful collections of verse written especially for children. She was also responsible for historical novels such as Zenobia, Queen of Palmyra, written in 1814. This was a novel with strong religious themes throughout, focusing on conversions from paganism to Judaism and also from Judaism to Christianity. She also made other significant contributions to pedagogical literature, offering readers the chance to benefit from her religious training methods. There is very little written about Adelaide’s early years but it is known that she was born on the 5th November 1776 in Eustace Street, Dublin. She was the only daughter of another famous writer, John O’Keeffe who wrote many dramatic works. In fact his daughter, in later life, was responsible for editing his plays. In her own right though she was a successful poet and novelist who also specialised in biblical paraphrase. In addition she published a number of reference works on historical and geographical subjects. Perhaps her most significant work though was that for the benefit of children. 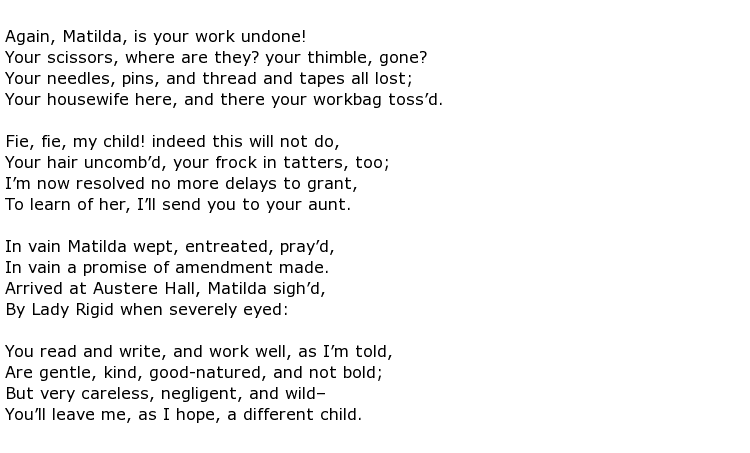 For example, she was a major contributor to Taylor’s Original Poems for Infant Minds by Several Young Persons, published in London in 1804 in two separate volumes. 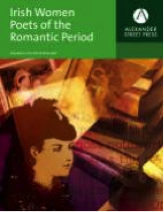 Adelaide contributed some thirty four poems to this collection. Her own collections of poetry included A Trip to the Coast (poems) in 1819, Poems for Young Children, in 1849 and The Broken Sword, a Tale, in 1854. Possibly her best known pieces of work though featured the character “Zenobia”. Zenobia, Queen of Palmyra. A Narrative founded on History was published in two volumes in 1814. Even more successful was Zenobia, or the Fall of Palmyra. An Historical Romance. This was first published in New York, in 1837 and then in London in 1838. Much of Adelaide O’Keeffe’s work can be found in a major collection called Irish Women Poets of the Romantic Period which covers some eighty volumes of poetry all produced by Irish women between the years 1768 and 1842. Sadly this body of work was kept virtually hidden from the literary world for almost two centuries but has now been unearthed for the benefit of a modern generation of students of Irish literature. The distinctive voices of significant poets such as Elizabeth Ryves, Henrietta Battier and, of course, O’Keeffe can now be heard and appreciated. When the British Romantic period was in full flow Irish writers were often discarded as unimportant, or at least given secondary status amongst their peers. This collection certainly redresses the balance and brings the work of Adelaide O’Keeffe and others to much wider attention. It is certainly a valuable resource for anyone interested in not just the literature, but also the history, of Ireland. O’Keeffe was very much a teacher as well as a writer. Her work, particularly the Zenobia stories, can certainly be regarded as educational tools on the subject of religious beliefs, particularly pedagogical ones. She uses two separate modes of teaching. The first is a kind of philosophical experiment where the teacher and child separate themselves from the real world in order to learn without external interference. The second is more practical, using applied pedagogy that merges outside influences with already present habits and associations. Adelaide O’Keeffe died some time during the year 1865 at the grand old age of 89.